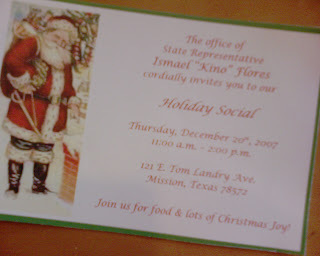 State Representative Ismael "Kino" Flores will have a Holiday Social at his district office on 121 E. Tom Landry Ave. In Mission, Texas from 11 a.m to 2 p.m. On Dec. 20th. Join him and his staff for food and Christmas joy.